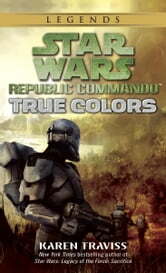 As the savage Clone Wars rage unchecked, the Republic’s deadliest warriors face the grim truth that the Separatists aren’t their only enemy–or even their worst. In the Grand Army’s desperate fight to crush the Separatists, the secret special ops missions of its elite clone warriors have never been more critical . . . or more dangerous. A growing menace threatens Republic victory, and the members of Omega Squad make a shocking discovery that shakes their very loyalty. As the lines continue to blur between friend and enemy, citizens–from civilians and sergeants to Jedi and generals–find themselves up against a new foe: the doubt in their own hearts and minds. The truth is a fragile, shifting illusion–and only the approaching inferno will reveal both sides in their true colors. Not a lot of action, but now I understand better how clone commandos feel like. Worth every word as always.